What Is the Connection Between Facial Paralysis and Ophthalmology? Facial paralysis patients often struggle to make facial expressions, as well as chew, swallow and speak. In some instances, facial paralysis patients also experience eye problems. For example, Bell’s palsy is a primary cause of facial paralysis in the United States. Bell’s palsy typically causes facial paralysis on one side of the face. The condition sometimes affects the eye and eyelid muscles and makes it tough for an individual to blink properly, too. Without the ability to blink normally, a Bell’s palsy patient cannot keep his or her eye moist. This leads to extreme eye dryness and inflammation. Additionally, a Bell’s palsy patient may be more susceptible than others to keratitis, inflammation of the cornea (clear tissue on the front of the eye). In addition to keratitis, Bell’s palsy patients may be more prone than others to eye pain and blurred vision. If a Bell’s palsy patient’s eyelid does not function properly, this individual may struggle to fully close his or her eye during sleep as well. Artificial Tears: Lubricate the eyes and help the eyes maintain moisture. Oftentimes, artificial tears need to be used at least once an hour to keep the eyes moist. Eye Ointment: Treat eye infections, inflammation and soreness. An eye ointment usually requires a prescription, but over-the-counter options are available to treat dry eyes. Medical Tape or Eye Patch: Prevents an air conditioner or ceiling fan from drying out an eye. Medical tape can be used to keep an eye shut, and an eye patch can be worn both during the day and at night as needed. The aforementioned eye protection solutions sometimes help facial paralysis patients treat their eye issues. Yet these eye protection solutions offer no guarantees. If an individual experiences long-term eye dryness and other facial paralysis symptoms, a consultation with The Facial Paralysis Institute team is ideal. 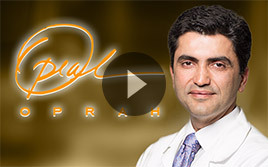 Dr. Babak Azizzadeh of the Facial Paralysis Institute is a world-renowned facial plastic and reconstructive surgeon. 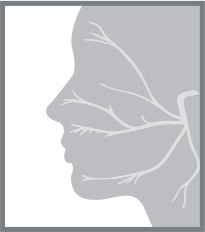 He takes a holistic approach to facial paralysis treatment. By doing so, Dr. Azizzadeh helps each patient address his or her facial paralysis symptoms. Once Dr. Azizzadeh identifies the best facial paralysis treatment option, he develops a personalized treatment plan. 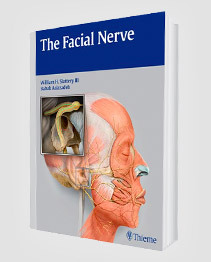 Dr. Azizzadeh explains this facial paralysis treatment plan to his patient and responds to any concerns or questions. He also helps a patient prepare for all aspects of facial paralysis treatment and recovery. 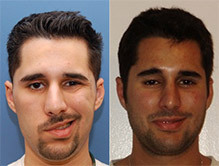 In certain instances, Dr. Azizzadeh performs facial paralysis treatments in conjunction with oculoplastic surgeons Dr. Guy Massry and Dr. Raymond Douglas. Dr. Massry, a graduate of the USC School of Medicine, is commonly referred to as “Dr. Fix-It.” He is best-known for his work and research in the field of oculoplastic surgery, and media outlets frequently reach out to Dr. Massry for insights into eyelid reconstruction and other oculoplastic surgical procedures. Meanwhile, Dr. Douglas specializes in thyroid eye disease treatments. Dr. Douglas co-founded the International Thyroid Eye Disease Society, and to date, has published more than 100 peer-reviewed articles and textbook chapters. The Facial Paralysis Institute team is happy to help a facial paralysis patient find a long-term treatment for his or her facial weakness and any related eye issues. To schedule a consultation with the Facial Paralysis Institute team, please contact us today at (310) 657-2203.